There are plenty of software developers that stay on top of their game. Some are adored by online casino players, others have built up a list of accolades from respectable organisations. But, should they be asked to name one or two software providers, chances are NetEnt will come up. 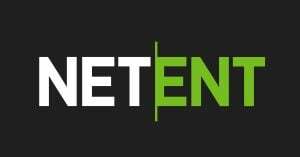 Not only is NetEnt one of the most popular developers in the minimum deposit online casino world, they also have multiple awards under their belt and are renowned for superior quality games. In fact, when it comes to visual quality and sheer innovation, there are few companies that can match NetEnt. So, let’s take a look at what NetEnt has to offer avid online gamblers around the world. Net Entertainment is an award-winning software provider with a passionate development team who have successfully conquered and maintained their top spot in the iGaming industry. It all began in 1996 and NetEnt went on to launch their very first proprietary online casino in 2002. The casino ran on their Engine CasinoModule, developed on a Java Platform. NetEnt were the very first casino software developers to make use of this technology. By 2011, NetEnt had developed NetEnt Touch, a mobile platform and not long after that they released their first games, all fully adapted for mobile devices. Three of their most popular titles at the time, and still today, were Gonzo’s Quest, Blackjack and Jack Hammer. NetEnt went on to launch their first live casino in 2013 in the form of CasinoRoom. The live casino gave players access to a myriad of live table games both on desktop and mobile devices. As an all-inclusive gaming superstar, it’s no surprise that NetEnt provides their products to the top operators on the market. They don’t just let any casino stock their games. In fact, casinos and developers form partnerships and implement licensed agreements that allow operators to offer NetEnt games. That means when it comes to NetEnt, only the very best casinos offer their games. This helps to ensure that casinos continue to raise their standards. On the other side, developers continue to work hard to pump out premium games to keep favour with the top operators. On the whole, NetEnt casino games are designed to attract and keep players. One of the main attributes of their successful formula is the stunning 3D graphics along with highly realistic animations. NetEnt, it’s safe to say, set a new standard in that regard. Currently, NetEnt software offers a massive variety of instant-play casino games enhances with awesome sound effects and exceptional graphics, all with mobile capabilities. NetEnt produces both slots and table games along with live games. Some of their games stand out more than others, and it’s NetEnt’s work within the slots genre that has made them such renowned players in the iGaming industry. NetEnt slots are well known for having so of the best graphics you’ll come across, along with stunning animations and enthralling game features that keep players coming back time and again. Gonzo’s Quest is one of the most popular slots around. The game follows the trail of the much-loved character in his search for El Dorado. This game is super-cool, and it offers an RTP of 96% to boot, making it highly attractive for online slots lovers. Mega Fortune is another stand-out title from NetEnt, and a progressive slot at that. You’ll also, no doubt, have heard of Aliens, Starburst and Jack Hammer. Apart from reels, NetEnt also has an impressive selection of table and card games to choose from. You can enjoy classics like European Roulette or Blackjack, or you can even get into a number of advanced versions. In fact, online players who love game variants are catered for beautifully. There’s Red Dog Progressive, Punto Banco, Pontoon and Double Exposure. There are also several online poker variants, including Texas Hold’em and Oasis. Each NetEnt casino you come across features an array of combinations of table games, so you might not find your favourites all under one roof. However, each house will surely provide plenty of choice, and the different titles mean you can bet different amounts. This means there’s really no problem finding a game to suit you playing taste and your bankroll. As for live gaming, NetEnt really knows no bounds. You can enjoy an array of table and card games at the provider’s live casino tables. While live gaming is no longer new, what NetEnt brings to the table is a little different from its competitors. NetEnt switches things up with different playing table backgrounds, so you don’t have to share screen space with other dealers and tables. While each setting is certainly virtual, each one serves up a new vibe and matches the games’ theme. Popular NetEnt live casino games include Auto Roulette, Live Blackjack and Live Roulette. VIP and Pro live game variants allow high rollers to be in their element with table limits that exceed six-digits at times. You can even optimise your live casino experience with anything from video or sound controls to chat options and even camera angles. We all know that online casinos offer a far better return to player rate (RTP) compared to their land-based counterparts. After all, the overheads are much smaller, and therefore the profit margin doesn’t have to be as big. NetEnt, it has to be said, excels in giving players mega bang for their bucks. Some games offer a whopping 98% RTP, so with extended playtime, you are 98% likely to get your wagered money back as you go through the highs and lows of online gaming. The lowest NetEnt RTP you’ll find is 94%, with the majority of the games coming in between 96% and 97%. Live Rewards is pretty much an automation engine that handles player retention and promotions. The idea behind Live Rewards is to allow online casino operators to effortlessly customise their campaigns while instantly rewarding players, creating a seamless user experience with pretty much no effort. NetEnt’s Live Rewards allows operators to create unique promotions, reward you in free spins, cash and bonus money instantly, and set up new promotions in no time at all. NetEnt’s array of games are available at both download and instant play platforms, depending on the casino you choose to play at. As we mentioned, almost all of NetEnt’s games are also optimised for smartphones and tablets, bringing seamless integration and the same immersive gaming experience across devices. Tablets and smartphones have certainly become an essential part of the world and game developers have taken this into account. Many online casino players love being able to take their favourite online casino games with them wherever they so, so mobile-friendly versions of popular games is almost mandatory. NetEnt aren’t just aware of this, they’re leading the way in mobile gaming. What puts NetEnt head and shoulders above their competitors, is their NetEnt Touch platform. The platform has been designed to convert all the best titles from NetEnt’s portfolio and makes them perfect to play on smaller screens. While pretty much all NetEnt games are optimised for mobile player, the ones that have been given the Touch makeover are the ones that really shine with superior visuals and playability. The platform has been integrated into every supported game, so you can pick one and see what all the fuss is about for yourself. NetEnt, itself, is a long-standing company. It’s history spans over several decades and can be traced all the way back to when the Swedish offline casino operator called Cherry was established in the 1960s! The NetEnt we know and love today started out as part of that operator in 1994. In 2005, the companies were separated and NetEnt became an independent organisation. That’s when they began to focus on online casino software. Over the years, NetEnt has established themselves as one of the world’s leading casino software developers. Their casino software, especially, has brought them sensational success and much appreciation by online gaming fans. Having started out as just a branch, the company is no thriving with hundreds of employees all around the world. Of course, NetEnt has all the necessary certification, along with licenses from the Malta Gaming Authority and UK Gambling Commission. What’s more, their games are tested regularly and deemed random and fair by well-known independent organisations like eCOGRA. Overall, NetEnt is one of the best online casino software developers on the market. Their innovative games along with a heavy focus on visual presentation make them stand out. The sheer quality of NetEnt’s products, from slots and progressive jackpots to card and table games along with a great selection of live dealer games certainly leaves the competition behind. NetEnt can be played via a casino’s downloadable software or through Instant Play and you can take your favourite games with you on your mobile device without losing out on quality and superior gaming. The software developer continues to churn out incredible titles all the time and we cannot wait to see what they have in store for us in the years to come.